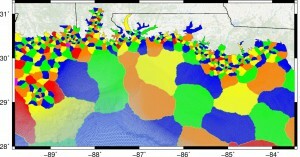 High performance computing of oceanic and nearshore hydrodynamic processes – Matthew V. Bilskie, Ph.D.
M.V. Bilskie, S.C. Hagen, D.L. Passeri, K. Alizad, S.C. Medeiros, “High performance computing of oceanic and nearshore hydrodynamic processes.” HPC User Group of Orlando Meeting, October 28, 2014.